“?? ?-Co” charges a anywhere from $5.99 flat rate shipping and up depending on the size of the order. This is “?? ?-Co’s” shipping cost but not mine. I charge anywhere from $8 for one or two small-item orders up to $12.50 for an average sized order shipping in the US. Some orders have to ship FedEx because of the size and will range from $15 and up (for things like displays and large tools). You only pay the Jet Beads shipping cost – not both. Canadian and other international shipping costs are calculated on a case by case basis. My shipping charge includes the actual shipping cost as well as a few extra dollars for sorting out the orders and packaging them up (this takes 3 to 10 hours a day). My profit margin is so minuscule that I have to charge a little extra in order to keep doing this! The bottom line is that even with shipping being more through Jet Beads (vs $5.99 + at “?? 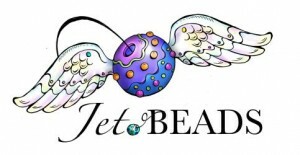 ?-Co”) you are PAYING LESS FOR YOUR ORDER BY ORDERING THROUGH JET BEADS. The amount you are saving is inclusive of all shipping charges – it is the full and actual amount you are paying less. I order daily Monday, Tuesday, Wednesday, Thursday, and Friday. All orders placed after noon on Friday through before noon on Monday are placed Monday. This is because “?? ?-Co” doesn’t ship over the weekend and anything I order after noon on Friday won’t ship until Monday anyway. So basically you will always get your order from me within 7 to 9 days. Sometimes the USPS screws something up though and it might take longer. Also, I send a check-sheet with your order so you can check everything in.